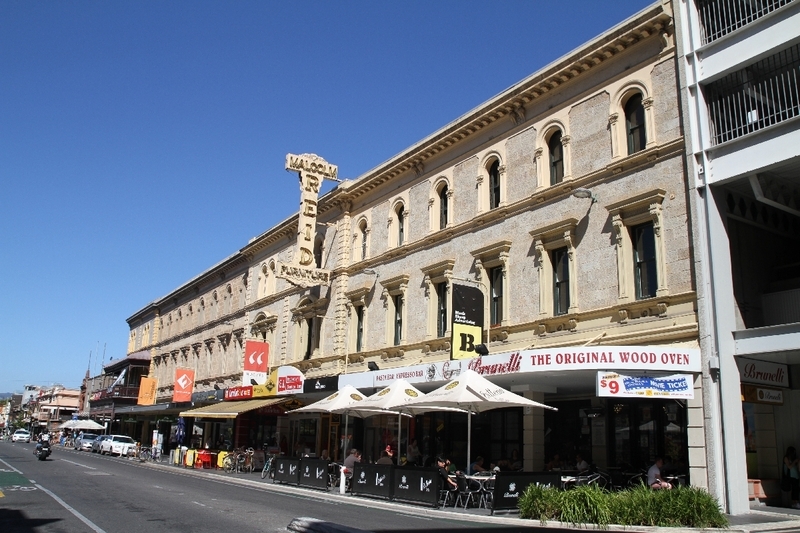 The Austral Hotel and adjacent shops a complex unique on Rundle Street for its size and composition. In 1880, architect William McMinn was commissioned to design 14 shops and a hotel covering almost two town acres. The complex was established for the South Australian Company, one of the most important commercial enterprises in the colony due to its role in the founding of the settlement. The complex was built between 1880 and 1883, beginning with the hotel at the eastern section. 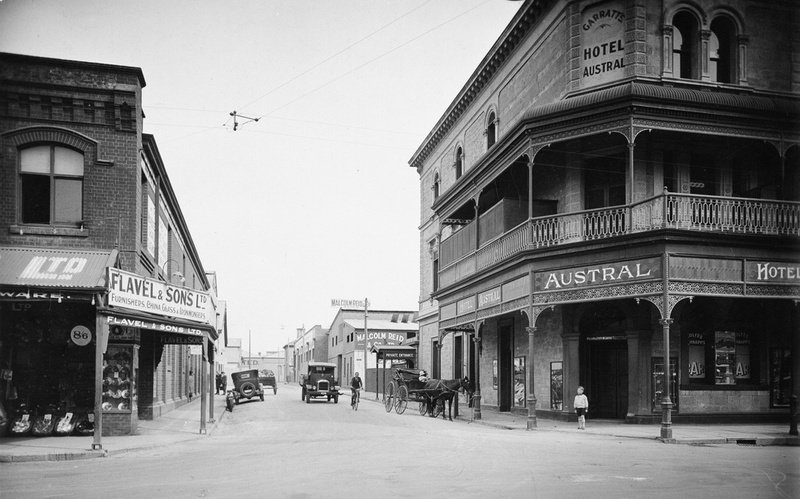 It was first known as the Family Hotel, and the name was changed three times after that. It became the Austral in 1898, just before Australian Federation in 1901. 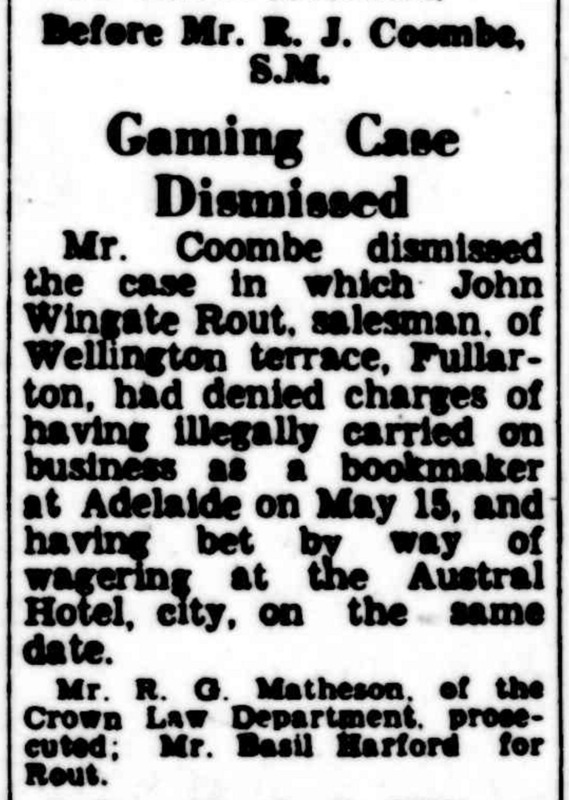 The hotel made headlines in the local newspapers in November 1915 when a horse, started by the strange noise of a motorcycle, bolted and crashed through a window into the front bar. 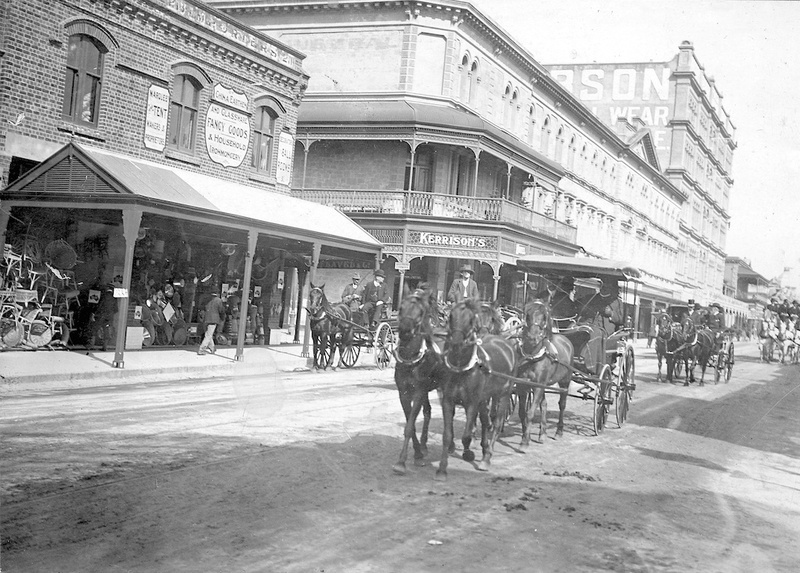 Although there was much damage to the hotel, luckily the horse and patrons were largely unharmed. Merchants Malcolm Reid and Co occupied the western end of the complex from 1909. 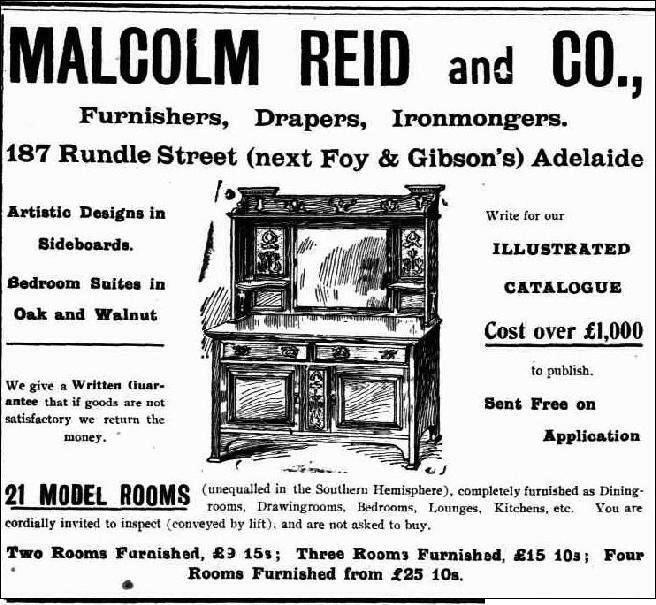 A highly successful furnishing, drapery and ironmongery business, Malcolm Reid and Co. had branches in Port Adelaide, Broken Hill, Melbourne, London and Johannesburg. You can still see the company’s sign on the building today. The complex is built of squared sandstone with stucco strings and surrounds to openings. The corner of the building adjacent to Bent Street was changed to include a tiered verandah and balcony of cast iron lacework. The lead light glass bearing the hotel’s name on the ground floor verandah was added later. 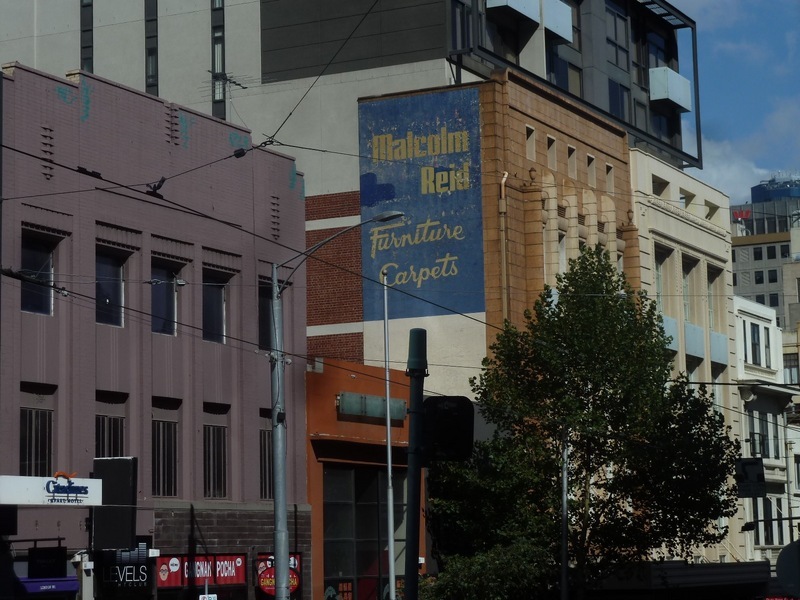 Malcolm Reid & Co., 151-155 Bourke Street, Melbourne: From 1936, Malcolm Reid and Co. had a store on Bourke Street in Melbourne. The former site of the Empire Theatre, the company completely remodelled the building in 1938. 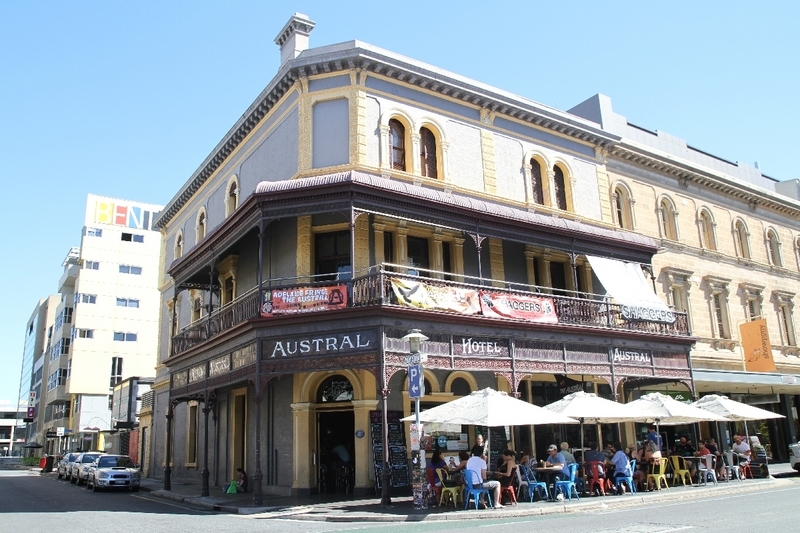 Adelaide City Explorer Team & East End Coordination Group, “Austral Hotel,” Adelaide City Explorer, accessed April 26, 2019, https://adelaidecityexplorer.com.au/items/show/55.